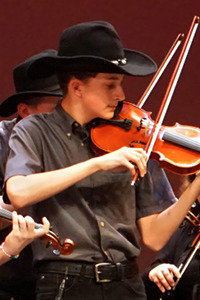 Saline Fiddlers Philharmonic, America’s premier youth fiddling show band, astounds audiences each time the group takes the stage. 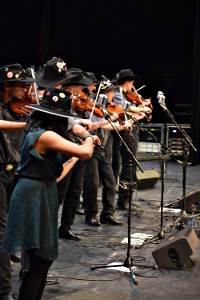 They blend traditional fiddle tunes with a philharmonic size wave of sound. 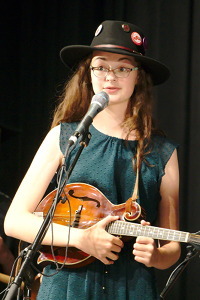 Their fusion of folk, bluegrass, mountain music, western swing, Celtic tunes, and American classics starts toes tapping and hands clapping. 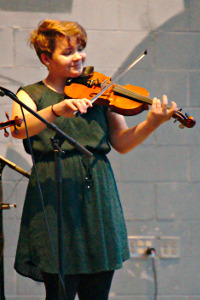 The Fiddlers can adapt to almost any performance space or situation. 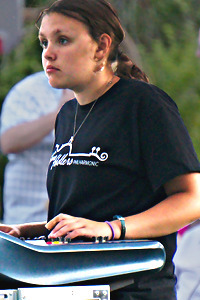 Their music appeals to audiences of all types and ages. 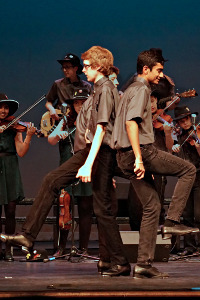 The group comes “self-contained,” including their own sound system, and requires only a well lit performance space and a clean dressing room. 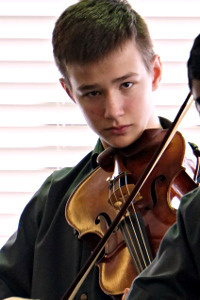 Saline Fiddlers Philharmonic is a member of the Michigan Humanities Council’s Arts and Humanities Touring Directory. 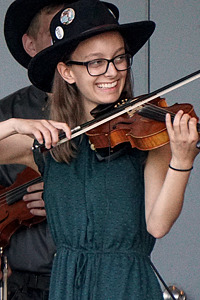 Any Michigan based non-profit entity may apply for a grant to help fund a Saline Fiddlers Philharmonic performance or workshop. CLICK HERE to visit the Michigan Humanities Council website for more information. For booking inquiries, please call 866-257-5333 to leave a voice message – or for the quickest reply, please use the form below to send us your event information and we will contact you.